Those unsure whether to pull the trigger on a Galaxy Gear have good reason for hesitancy; in our review of Samsung’s wearable, we found the device wanting for the $299 asking price. That being said, the Korea-based company is apparently selling the smartwatch at a steady clip, so logic dictates a successor be released. According to a report in the Korean Herald, Samsung intends to unveil such a device at the 2013 Mobile World Congress in Barcelona, Spain, along with a health-focused accessory intended strictly for monitoring vitals. 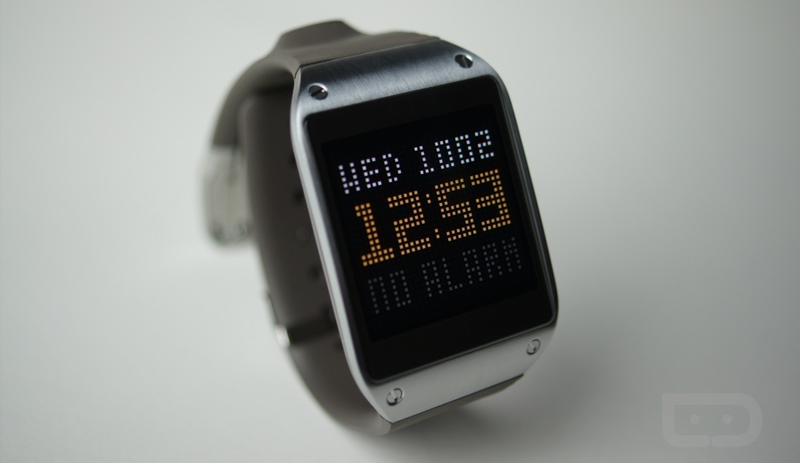 The tentatively named Galaxy Gear 2 will probably do little to satisfy implacable critics of wearables, but the inclusion of a curved OLED screen should interest Galaxy phone and tablet owners in the market for a new smartwatch. Details of the device are otherwise lacking, but it’ll ostensibly include other hardware and software improvements. As for the exercise accessory, the so-called Galaxy Band will apparently measure heart rate and blood pressure, providing instant feedback on the efficacy of a workout. It will additionally act as a “smart pedometer” (think the Nike Fuelband or Jawbone Up), and almost certainly interface with the S Health app that comes pre-installed on many Galaxy devices. According to a Korean Herald source, Samsung intends to launch the Galaxy Gear 2 “early next year”. The question is, who will buy it?